Grab some of this tough to find 7.62 Nagant ammunition at BulkAmmo while you can! 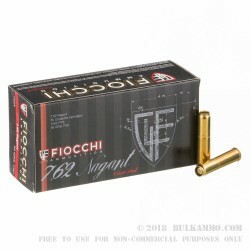 Manufactured by Fiocchi, these cartridges come in 50 round boxes and produce the 7.62 Nagant's velocity-boosting gas seal when used in the M1895 revolver. Once used, the new brass is a great component for reloading! 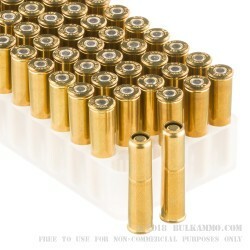 This ammunition uses non-corrosive Boxer primers and fires a 97 grain full metal jacket bullet, which achieves a muzzle velocity of 1,082 feet per second in a properly functioning M1895 revolver. 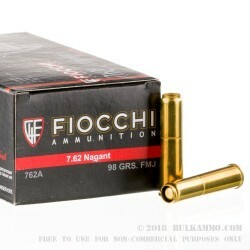 Like other Fiocchi ammo, it is made in either Lecco, Italy or Ozark, Missouri.